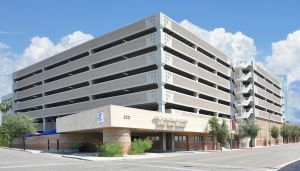 Podolsky designed this six-level parking structure in downtown Tucson. A key component of the design process was to work in concert with the architect for the YMCA that is beneath the parking structure in order to develop structural components such as column and shear wall locations that would not hinder space planning for the YMCA. Consideration was also given to the accessibility to the future office building planned to be built later above the parking structure. 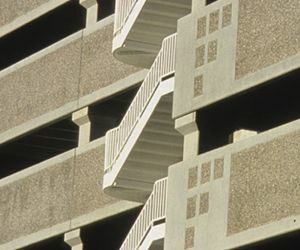 It was designed with minimal use of exterior materials as to not compete with the varied palette of materials used on the surrounding buildings. 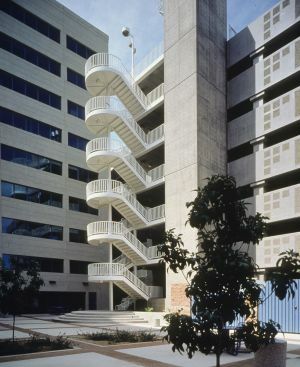 The parking structure accommodates 697 vehicles.